No. 9, Tingkat Limbungan 1, Off Jalan Chain Ferry, 12100 Butterworth, Penang, Malaysia. Servicing, Repairing, Component Customization and System Design for hydraulic systems. 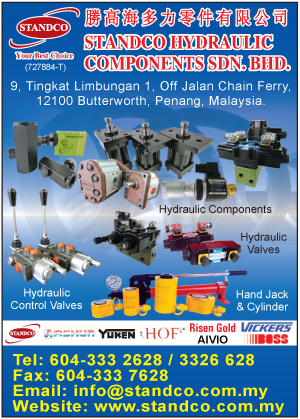 Of late, due to the businesses growth, we have registered our company to as Standco Hydraulic Components Sdn Bhd in 2006 to build our stability in the market. 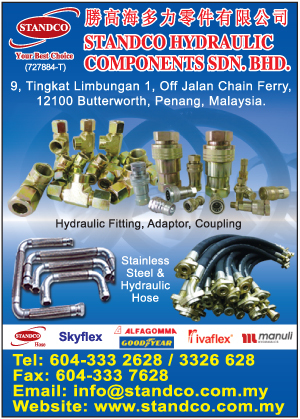 Standco Hydraulic Components Sdn Bhd have a sufficient ready stock of different types and sizes for Hydraulic Cylinder & Pump, Hydraulic Solenoid Valve, Hose, Fitting, Seal and O-ring for customers. 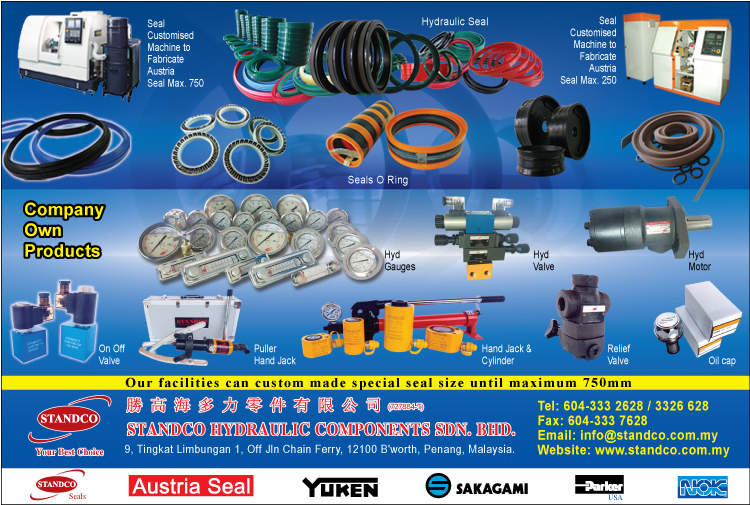 Solving sealing problems and components customization are our strength because we have a well trained and high skilled team together with in-house Seal Customized Machine and other essential equipments ready to serve our customers’ needs. With the hardwares, softwares and manpower readiness, we can provide the services in very crucial time and ensure the products are in high quality at the same time. Sri Lanka Our commitment is to meet or even exceed our customers’ expectation in term of quality, schedule and cost.